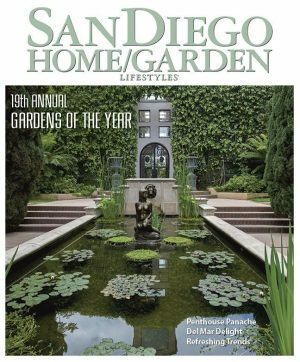 For more than 34 years our mission has been to feature the best homes and gardens in San Diego County. We also give readers examples of outstanding remodels, beautiful interior design and innovative kitchens and baths. Our pages are full of creative ideas for outdoor living and entertaining and award winning recipes from our region’s best dining establishments. We’re considered the nations oldest regional shelter publication. The latest Media Audit(May-Jul 2013) research reports that we have more monthly readers (315,000+) than any other monthly publication in San Diego County.